I'm learning how to use my Nikon D50 with off-camera flash. Learn to light (better than I have so far) at http://strobist.blogspot.com. And what does the wife think of you invading the kitchen with all the lighting? tell you that one of the reasons she bought the house is so that I'd have a nice kitchen. 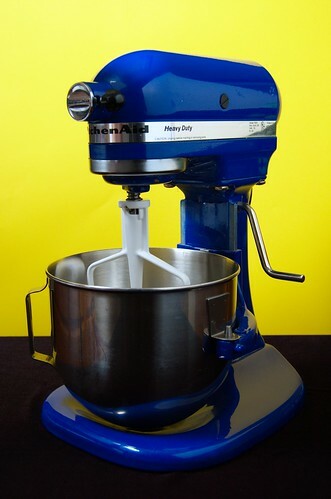 In fact, the mixer was a graduation present to myself after I finished my PhD. 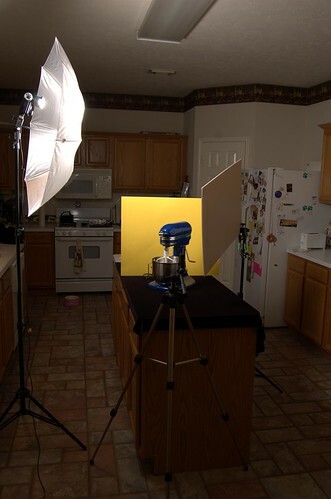 Here's my own attempt at the strobist kitchen assignment : http://aperturefirst.effraie.org/index.php?showimage=116 (but without off-camera flash, unfortunately...). even though my gimp/ufraw skills are almost non-existent.